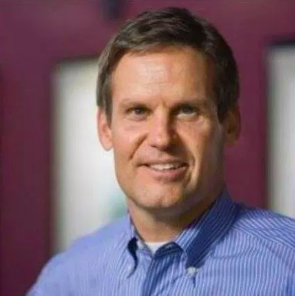 Franklin millionaire businessman Bill Lee won a surprise upset during the GOP gubernatorial primary basically because he came across as a nice guy. He didn’t run attack ads, and he travelled across the state in an RV twice, setting up highly scripted town halls in all 95 counties. He talks a lot about his faith and how his love for Jesus got him through the worst time in his life, when his wife died in a tragic horse-riding accident. But other than admitting he doesn’t believe in gay marriage, Lee hasn’t talked a lot about what that faith really looks like, and the press corps has yet to press him on it. For some reason, Lee has become seen as a “moderate,” not unlike Governor Bill Haslam. He’s not. Some of this came to light Tuesday, after The Tennessean revealed a state trooper had been canned from Democrat Karl Dean’s security detail after leaking info to Lee’s campaign about a “Muslim event.” Said event was actually a meet and greet at Yassin’s Falafel House in Knoxville, a restaurant operated by a Syrian refugee with a truly inspiring story, but Lee apparently thought it was in a mosque, and that a picture of Dean in a mosque would be damning. But to attendees of Grace Chapel, the Williamson County evangelical church of which Lee is a longtime member, association with Islam is quite literally damning. One guest pastor, Michael Brown, gave a sermon on March 1, 2015, on “Understanding Radical Islam,” which he says he was specifically asked to give by Grace Chapel’s pastor Steve Berger. Brown started his sermon admitting that maybe not all Muslims support violence or are trying to take over the country with Shariah law, but as he went on, the implications are clear: Christians in government are only trying to do “what’s right,” whereas in Islam, “there’s no separation of church and state,” and if Muslims take over we could all be beheaded. Islamophobia isn’t new to Tennessee politics, and it’s especially not new to evangelicals in Tennessee politics, but when one is running for governor of a state that has the largest population of Kurdish immigrants in the country, it’s worth wondering why no one is asking Lee about this. It’s also worth asking about Lee’s views on women and the LGBT community, above and beyond gay marriage. During the primary, there were rumors that Lee had told supporters at a small fund-raiser that U.S. Representative Diane Black “didn’t look like governor material” and that he didn’t understand why she didn’t just want to stay home with her grandchildren. Lee and his campaign denied it, just like they denied asking the trooper to get a picture of Dean in a mosque. But it’s clear Lee isn’t a proponent of women in leadership, given the makeup of his own company. Out of 13 people in leadership roles, including Lee himself, only one is a woman, and all are white. At Grace Chapel there are no female pastors, and no woman serves on the board. Given Pastor Steve Berger’s views, however, it’s unclear why any woman would want to serve in church leadership. On September 30th, Berger gave a sermon on Brett Kavanaugh, entitled “Biblical Qualifications for Bringing an Accusation Against Someone.” In it he cites verses from Deuteronomy, Matthew, and 1 Timothy that say not one but two or three witnesses (at least) are needed to bring an accusation of sin against someone. “This is a moral law here,” Berger says. This is far from the only offensive sermon Berger has given. In a June 28, 2015, sermon entitled, “It’s Evening in Sodom,” Berger laments the SCOTUS ruling legalizing gay marriage. He preaches that his followers should not be hateful towards their gay friends, but they should “beg them to stop their wickedness before it’s too late for them” — i.e., before Judgment Day — and says that holding back “truth” in the name of “love” is the true “hate.” Needless to say, the church also does not believe transgender people are truly transgender either. Berger is one of the members of Lee’s “Community and Faith-Based Advisory Council,” along with musicians Michael W. Smith and Ricky Skaggs, NASCAR driver Darrell Waltrip, and retired hockey player (and Mr. Carrie Underwood) Mike Fisher. Lee has talked much about creating a new state office of faith-based and community initiatives if elected, which, at this point, seems almost inevitable given the polling and Dean’s unwillingness to go on the attack. Whether the office comes to exist remains to be seen, but during an interview in early July, I asked him about the plan. Lee downplayed the faith aspect of the office and told me that he wants to “reach out to nonprofits that are doing the work that government cannot and should not do, whether they’re faith-based or not.” At the time, a post on the Breitbart-esque Tennessee Star had expressed “concerns” as to whether the office would have to work with Islamic nonprofits, and I asked Lee about it. He said he hadn’t read the article. I then asked if he was attuned to the needs of Muslims in the state, especially given the Kurdish community in Nashville. When asked for comment on the various issues Wednesday, Lee’s campaign communications advisor Chris Walker got a bit testy. “A cherry-picked sermon does not equal Bill Lee agrees with this,” Walker said of the Kavanaugh sermon. I said that I wasn’t just looking at one sermon, that I wanted to know if Lee agreed with Berger about the “usefulness” of gay conversion therapy. “If this is a Steve Berger story, you need to talk to Steve Berger,” Walker replied. When pressed on whether Lee agreed with Berger’s standards for “biblically reporting” sexual assault, Walker questioned whether I had gone through all of the sermons given at Dean’s church. Dean is a Catholic who (when not campaigning) regularly attends the Cathedral of the Incarnation, the seat of the Roman Catholic Diocese of Nashville. The church has mass three times daily (only twice on Friday and once on Saturday), so even if all the services were archived online like Grace Chapel’s (they aren’t), it’d be a lot to go through. But, like many other Catholics, Dean has publicly broken with the church on numerous issues. He does think abortion should be legal, he supported legalized gay marriage years before SCOTUS did, and he’s okay with women in the pulpit. And unlike Lee, Dean is not running ads touting his relationship with Jesus. Cari Wade Gervin is a freelance political journalist currently bouncing between a couple of cities in Tennessee.